An excerpt from Garnett's memoir-in-progress appears in the January issue of FULL BLEDE, a broadsheet of contemporary art and writing. The issue was launched along with an exhibition at noysky projects in Hollywood. 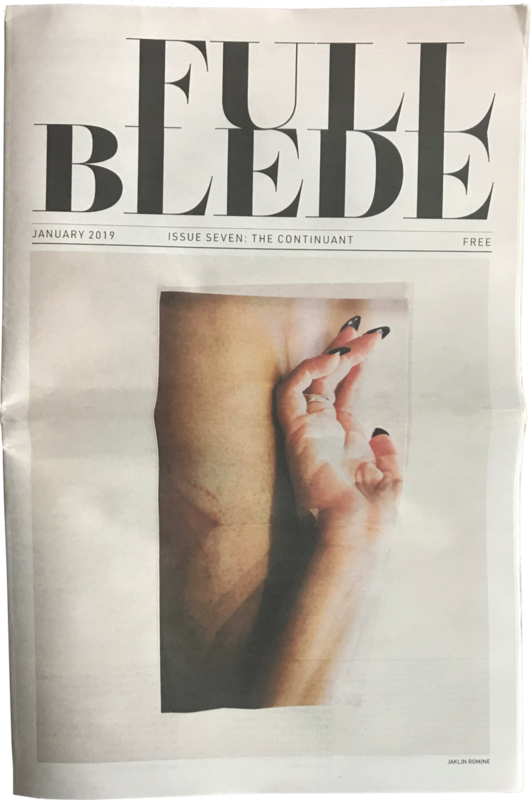 FULL BLEDE is independently published, designed, and curated by Sacha Baumann.